How to duplicate anything with a simple shortcut. You can make a copy of anything (notes, images, links, columns or entire boards) in Milanote. This is great for making templates or organising the same content in various ways. 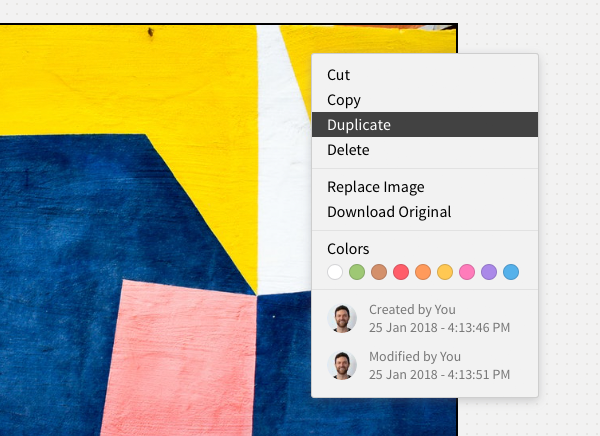 Right-click any item in Milanote to duplicate it or see other options.